This teaching is about understanding what each hand or side actually represents so that when next you see it emphasised in your dreams or visions, you will PRAYERFULLY understand what message is being put across to you. 3 You will spread out to the right and left. and they will resettle deserted cities. 4 Don’t be afraid, because you won’t be put to shame. Don’t be discouraged, because you won’t be disgraced. You’ll forget the shame you’ve had since you were young. You won’t remember the disgrace of your husband’s death anymore. 5 Your husband is your maker. Your Go’el is Qedosh Yisrael. 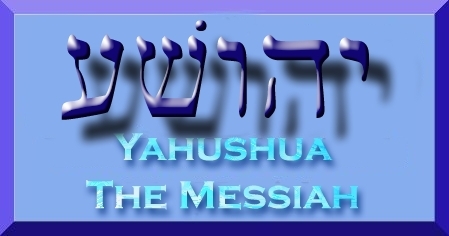 He is called the Elohim of the whole earth. 16 The second beast forces all people—important and unimportant people, rich and poor people, free people and slaves—to be branded on their right hands or on their foreheads. 17 It does this so that no one may buy or sell unless he has the brand, which is the beast’s name or the number of its name. Hebrew the language of creation and YAH’S Beloved Language is actually written from right to left. Every other semitic language (languages that emitted from Hebrew and have a very close relationship with the Hebrew language) is/are also written from right to left, for example Arabic. 98% of the world’s languages are written from left to write. Additionally, most people around the world use the right hand when writing. There are those who writing using the left hand to write. but they are relatively few. Just because the right hand or side is the most mentioned hand and the one to which good is attributed does not and should not imply that the left hand or left side is evil! This teaching is about understanding what each hand or side actually represents so that when next you see it emphasised in your dreams or visions, you will understand what message is being put across to you. and called you from its most distant places. 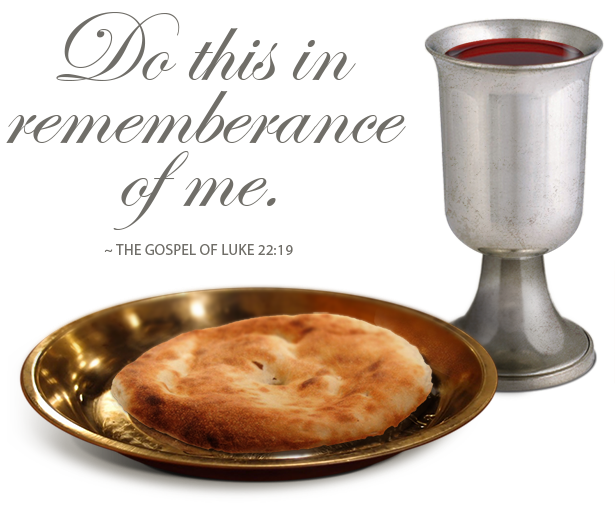 I said to you, ‘You are my servant. 10 Don’t be afraid, because I am with you. I will support you with my victorious right hand. will be reduced to nothing and disappear. Many a times in the Holy Biblical Scriptures, we see YAH Almighty make reference to the Right Hand. In fact it is hard to remember any scripture that talks about the Left Hand. Additionally, some times in our dreams and/or visions, we see the Right or Left Sides of our bodies or an object being showed and placed emphasis on. What does it mean when “someone is your right hand”? (someone) is (someone’s) right hand man. Your “right hand man” is the person who helps you out the most. It’s not like an assistant, but more like a “second in command”. This is the person you trust and depend on. What does a hand represent? According to Aristotle, the hand is the “tool of tools.” In general it is strength, power and protection. However, it can just as easily mean generosity, hospitality and stability; “lend a hand”. It is used in gestures of greeting and friendship (shake hands). What does it mean to be son of the right hand? From the Hebrew name Binyamin. “Yamin” which “right hand side”. In Hebrew right hand side symbolizes strength. Therefore the true meaning is “son of strength”. … In the Bible, Benjamin was the youngest son of Jacob and Rachel. The word “yamin” does indeed refer to both “right” and “south”. South is the direction of the right hand when facing East (Ref. Anonymous User 4/15/2005). The right hand denoted the south, and the left the north ( Job 23:9 ; 1 Samuel 23:19 ). 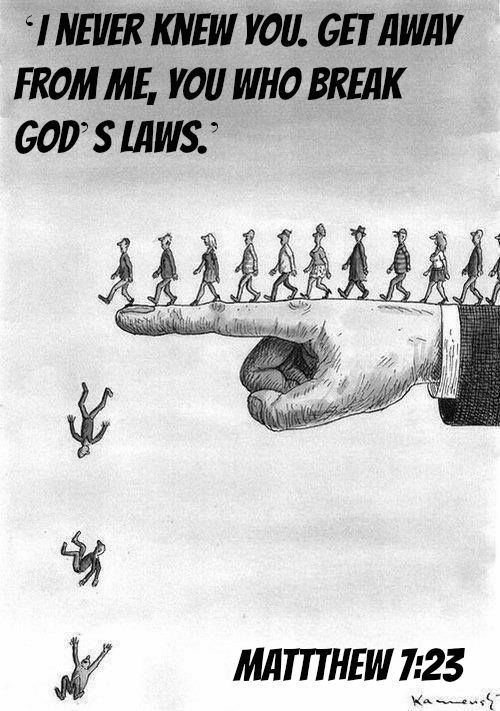 The right hand was lifted up in taking an oath ( Genesis 14:22 , etc.). The hand is frequently mentioned, particularly the right hand, as a symbol of power and strength ( Psalms 60:5 ; Isaiah 28:2 ). To kiss the hand is an act of homage ( 1 Kings 19:18 ; Job 31:27 ), and to pour water on one’s hands is to serve him ( 2 Kings 3:11 ). The hand of God is the symbol of his power: its being upon one denotes favour ( Ezra 7:6 Ezra 7:28 ; Isaiah 1:25 ; Luke 1:66 , etc.) 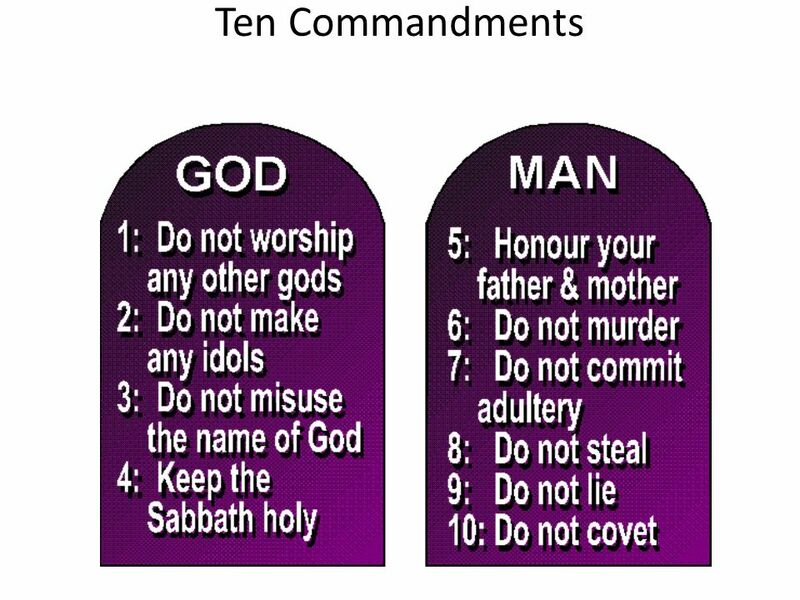 or punishment ( Exodus 9:3 ; Judges 2:15 ; Acts 13:11 , etc.). A position at the right hand was regarded as the chief place of honour and power ( Psalms 45:9 ; 80:17 ; 110:1 ; Matthew 26:64 ). Which hand do you put on the Bible in court? Instead of, or in addition to, holding one’s hand upon an object of ceremonial importance, it can be customary for a person swearing an oath to hold a raised hand in a specific gesture. Most often the right hand is raised. 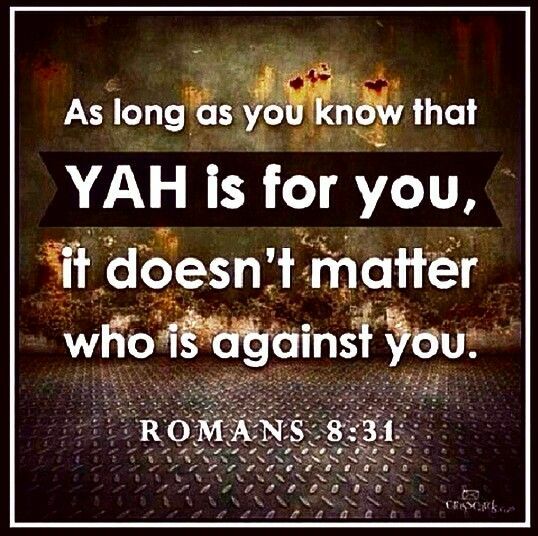 It is said in the Holy Biblical Scriptures that YAHUSHUA HA MASHIACH is sitting at the Right Hand of ABBA YAHUVEH ELOHIM! So that leaves us wondering where is RUACH HA KODESH sitting? 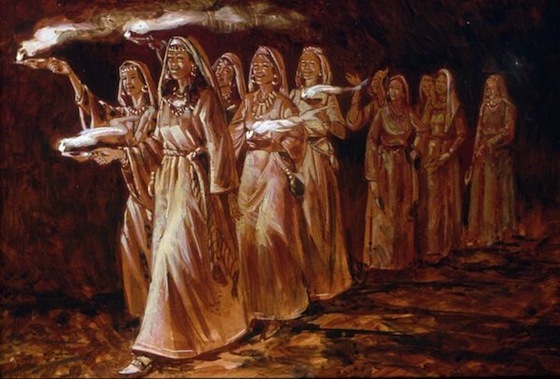 There is only one other side where SHE (RUACH HA KODESH) could be and that is the left hand side of ABBA YAHUVEH ELOHIM! 33 Who shall bring a charge against God’s elect? It is God who justifies. [a] 34 Who is the one who condemns? It is Messiah,[b] who died, and moreover was raised,[c] and is now at the right hand of God and who also intercedes for us. 35 Who shall separate us from the love of Messiah? 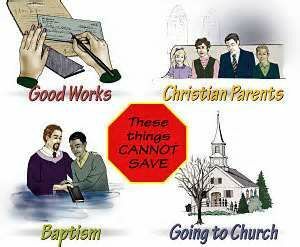 Shall tribulation, or distress, or persecution, or famine, or nakedness, or danger, or sword? It is said that hell the lake of fire is on the left hand side of Melech/Melek YAHUSHUA ELOHIM! Further on, on a wedding day, it is tradition, for the wife to stand on the left hand of her husband when matching out of the church as well as making vows. It is customary for the bride to stand to the left at the altar, though you may not be so keen on the reasons why. Typically the groom will always stand on the right, with the bride on their left – and no, it’s not because it’s his or her better side in photos. While it may seem trivial, the reason why this is the standard position dates back to hundreds of years ago – and it’s not exactly romantic. According to The Knot, the practice dates back to the times of “marriage by capture”, which yes, was as horrible as it sounds. It involved the man simple capturing (read: kidnapping) the woman he wanted to marry and is actually reportedly still practised in some countries in Central Asia and parts of Africa. Because of the nature of the bride “selection,” the groom needed to stand on the right so his right hand (aka his fighting hand) would be free to draw his sword without injuring his bride to defend her against any daring suitors who might try to steal her at the last minute. You can imagine the part of the ceremony where anyone with an objection is called to step forward was very tense indeed. Of course this “tradition” largely depends on your religion. Pretty dramatic, huh? Today, most couples still choose to stand with the gent on the right — probably because they haven’t really given it much thought. 10 Kings’ daughters are among your honored women. 11 “Listen, O daughter, consider and incline your ear. 12 Then the king will desire your beauty. 13 A daughter of Tyre comes with a gift. 15 She will be led to the king in embroidered garments. Her virgins, her companions following her, are coming in to you. they enter into the palace of the king. 17 Your sons will take your fathers’ place. The LEFT HAND is significant of CALLING! If you are married, your wife is part and should be part of you calling. 1 On the fifth day of the fourth month in the thirtieth year, while I was living among the exiles by the Chebar River, the sky opened, and I saw visions from Elohim. 2 On the fifth day of the month, during the fifth year of the exile of King Jehoiakin, 3 Yahweh spoke his word to the priest Ezekiel, son of Buzi, in Babylon by the Chebar River. The power of Yahweh came over Ezekiel. 4 As I looked, I saw a storm coming from the north. There was an immense cloud with flashing lightning surrounded by a bright light. The middle of the lightning looked like glowing metal. 5 In the center of the cloud I saw what looked like four living creatures. They were shaped like humans, 6 but each of them had four faces and four wings. 7 Their legs were straight, their feet were like those of calves, and they glittered like polished bronze. 8 They had human hands under their wings on each of their four sides. All four of them had faces and wings. 9 Their wings touched each other. The creatures went straight ahead, and they did not turn as they moved. 10 Their faces looked like this: From the front, each creature had the face of a human. From the right, each one had the face of a lion. From the left, each one had the face of a bull. And from the back, each one had the face of an eagle. 11 That is what their faces looked like. Their wings were spread out, pointing upward. Each creature had two wings with which they touched each other. The other two wings covered their bodies. 12 Each of the creatures went straight ahead. They went wherever their spirit wanted to go, and they didn’t turn as they moved. 13 The living creatures looked like burning coals and torches. Fire moved back and forth between the living creatures. The fire was bright, and lightning came out of the fire. 14 The living creatures ran back and forth like lightning. 15 As I looked at the living creatures, I saw a wheel on the ground beside each of them. 16 This is how the wheels looked and how they were made: They looked like beryl. All four wheels looked the same. They looked like a wheel within a wheel. 17 Whenever they moved, they moved in any of the four directions without turning as they moved. 18 The rims of the wheels were large and frightening. They were covered with eyes. 19 When the living creatures moved, the wheels moved with them. When the living creatures rose from the earth, the wheels rose. 20 Wherever their spirit wanted to go, the creatures went. The wheels rose with them, because the spirit of the living creatures was in the wheels. 21 So whenever the creatures moved, the wheels moved. Whenever the creatures stood still, the wheels stood still. And whenever the creatures rose from the earth, the wheels rose with them, because the spirit of the living creatures was in the wheels. 22 Something like a dome was spread over the heads of the living creatures. It looked like dazzling crystal. 23 Under the dome, each creature had two wings that were stretched out straight, touching one another. Each creature had two wings that covered its body. 24 When the creatures moved, I heard the sound of their wings. The sound was like the noise of rushing water, like the thunder of Shadday, like the commotion in an army camp. When the creatures stood still, they lowered their wings. 25 A voice came from above the dome over their heads as they stood still with their wings lowered. 26 Above the dome over their heads was something that looked like a throne made of sapphire. On the throne was a figure that looked like a human. 27 Then I saw what he looked like from the waist up. He looked like glowing bronze with fire all around it. From the waist down, he looked like fire. A bright light surrounded him. 28 The brightness all around him looked like a rainbow in the clouds. It was like Yahweh’s glory. When I saw it, I immediately bowed down, and I heard someone speaking. So, after reading Ezekiel 1, in relation to this topic, you ask yourself what does a lion and a bull/ox signify spiritually? Why is the lion look on the right side and the bull/ox look on the left side? Note in the following text that YAHUSHUA HA MASHIACH appears to Apostle Yahuchanan/John with Seven Stars in HIS Right Hand. Note that in verse 20, we get to understand what the seven starts signify. Remember that the Right Hand is the Hand of Strength so if the Stars in the Right Hand represent the Messengers who offer spiritual support to the Seven Messianic Communities, then it is clear that their role is to strengthen! 4 From John to the seven churches in the province of Asia. 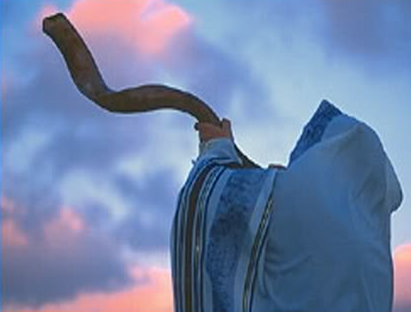 Good will[a]and peace to you from the one who is, the one who was, and the one who is coming, from the seven spirits who are in front of his throne, 5 and from Yeshua Christ, the witness, the trustworthy one, the first to come back to life, and the ruler over the kings of the earth. Glory and power forever and ever[b] belong to the one who loves us and has freed us from our sins by his blood 6 and has made us a kingdom, priests for God his Father. Amen. 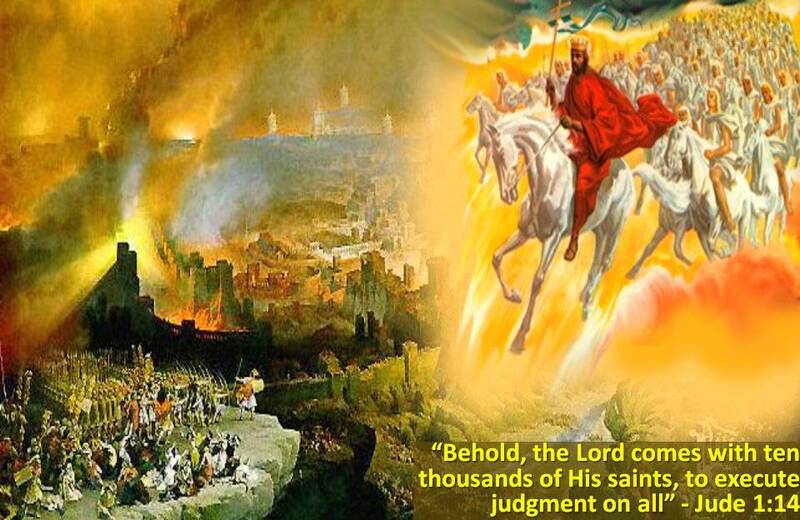 8 “I am the A and the Z,”[c] says the Lord God, the one who is, the one who was, and the one who is coming, the Almighty. 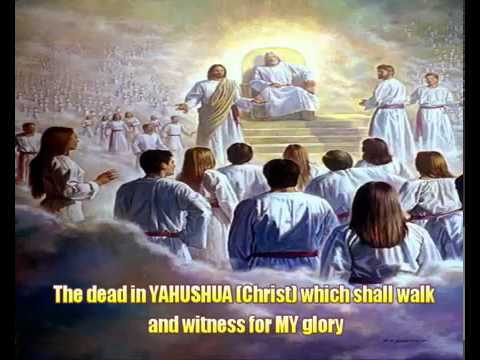 1 The revelation of Yeshua the Messiah, which God gave Him to show to His servants the things that must soon take place. He made it known by sending His angel to His servant John, 2 who testified to the word of God and to the testimony of Yeshua the Messiah—to everything he saw. 3 How fortunate is the one who reads the words of this prophecy, and those who hear and keep what has been written in it—for the time is near. Grace to you and shalom from Him who is and who was and who is to come, as well as from the seven spirits who are before His throne, 5 and from Messiah Yeshua, the faithful witness, the firstborn of the dead, and the ruler of the kings of the earth. To Him who loves us and has freed us from our sins by His blood 6 and made us a kingdom, kohanim to His God and Father—to Him be glory and power forever! Amen!